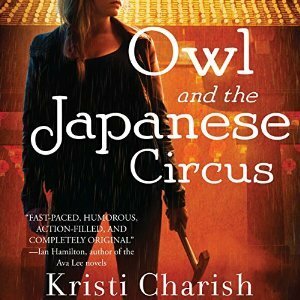 Today, urban fantasy author Kristi Charish, creator of the wonderful Adventures of Owl series, is here to share with us her recommended summer titles. She’s also giving away a copy of any of her back issues. Please help me welcome Kristi to That’s What I’m Talking About. Now that summer holidays are here many of us hit the bookstores and Amazon looking for reads to fill our vacation slot- the problem I’m so often faced with is which one? With the shear volume of books out there readily available at the touch of the ever-tempting Amazon buy button, the selection can be overwhelming. The list below are some of my favorite recent reads, and while no where near exhaustive – reading lists abound out there for that – but what I hope it will be is a place to find something new that otherwise might not be on your radar. Bob Johansson has just sold his software company and is looking forward to a life of leisure. There are places to go, books to read, and movies to watch. So it’s a little unfair when he gets himself killed crossing the street. 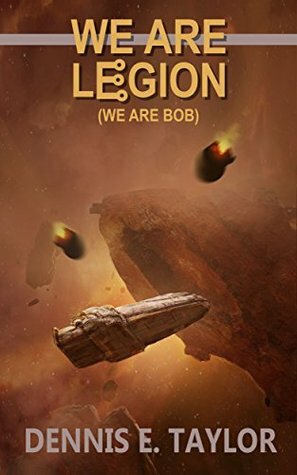 Bob wakes up a century later to find that corpsicles have been declared to be without rights, and he is now the property of the state. He has been uploaded into computer hardware and is slated to be the controlling AI in an interstellar probe looking for habitable planets. something and the prose lends itself nicely to narration. For: Pop culture and Star Trek fans. John Scalzi fans will also find something to really like here. As a bonus, those who grew up in the 90s will appreciate the odd Simpsons reference. This was a summer evening read and as a bonus the third book is out soon! This is easily one of my all time favorite series. I consume these volumes in hours, not days. This book is also one of the reason’s I found my agent. She also represents Ian and I mentioned how much I loved the series in my query. Mystery mixed with intricate financial crimes I find these impossible to put down. When a forgotten journal materializes decades after Drake Ramsey’s father vanished in the Amazon jungle, Drake decides to follow in his footsteps and search for the legendary treasure of the Inca empire hidden in the lost Inca city of Paititi. For? Videogamers, particularly fans of The Uncharted Series starring Nathan Drake. Clive Cussler fans will also find something to like as will 80s adventure movie fans. All right, I’m not going to lie – this is neither the best written or most original book on this list. It reads like a Nathan Drake videogame…Like seriously, the main characters first name is even Drake and there’s even a Skully and Elena. That might be a turn off for some people, but for me it was exactly the kind of summer no brainer adventure I was looking for. Reminiscent of Indiana Jones and Romancing the Stone, it’s a light, fun read that feels like an 80s adventure. It works well on audiobook, and if you’ve got household fans of Clive Cussler this is must try. For: 13 and up including adults. Readers who cringe at the mention of Disney princesses or The Bachelorette. 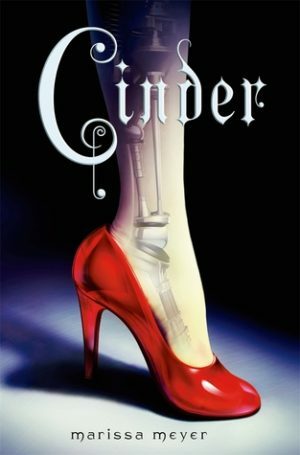 Cinder, a gifted mechanic, is a cyborg. She’s a second-class citizen with a mysterious past, reviled by her stepmother and blamed for her stepsister’s illness, and after serving out a year of hard labor in the salt mines of Endovier for her crimes, 18-year-old assassin Celaena Sardothien is dragged before the Crown Prince. Prince Dorian offers her her freedom on one condition: she must act as his champion in a competition to find a new royal assassin. These have been out for a while now but if you haven’t started I highly recommend them. I’ve binged both series voraciously. Both are great YA reads featuring female protagonists – one a cyborg mechanic and the other an imprisoned assassin. Make no doubts about it – these aren’t your grandmother’s YA, filled with damsels in distress or the particular and very patented Disney version of the princess. These women are on the path for adventure and the authors don’t sugar coat it. Recommended Consumption: Audiobooks, so the entire road-tripping or porch vacationing household can listen. Kristi is generously giving away one (1) copy of any of her books, in reader’s choice of format: ebook, audio, or signed physical copy to give to one (1) lucky commenter. To enter, please fill out the Rafflecopter form AND leave a comment sharing with us your recommended summer read and/or audiobook. The giveaway is open during the time specified on the Rafflecopter form. Winner(s) chosen at random from all eligible entries. This contest is open to U.S. and Canadian mailing addresses only, where not prohibited by law. Open to participants, 18 years or older, who are legally allowed to participate in such a contest as allowed by their local laws. All federal, state, local, and municipal laws and regulations apply. Void where prohibited. No purchase necessary. By participating in the contest, participants agree to be bound by the decisions of the contest sponsor. Prize will be delivered by the contest sponsor. This blog, its reviewers, and the owner are not responsible for items lost in the mail. By entering this giveaway, participants agree to abide by these terms. I write what I love; adventure heavy stories featuring strong, savvy female protagonists, pop culture, and the occasional RPG fantasy game thrown in the mix. You can hear me biweekly on The Adventures in Sci-Fi Publishing Podcast where I cohost and interview both up-and-coming and established authors in the genre. Besides writing I’m also a scientist. I have a BSc and MSc from Simon Fraser University in Molecular Biology and Biochemistry and a PhD in Zoology from the University of British Columbia. My specialties are genetics, cell biology, and molecular biology, all of which I draw upon in my books. Authors I love: Ernest Cline, Kim Harrison, Jim Butcher, Patricia Briggs, Diana Rowland, Cassandra Clare, Ian Hamilton, and Suzanne Collins, to name just a few. The International Archaeology Association (IAA) is responsible for keeping all things supernatural under wraps. They’re also responsible for ruining the promising archaeology career of Alix Hiboux, better known as Owl. Needless to say, Owl’s still a little sore about that.